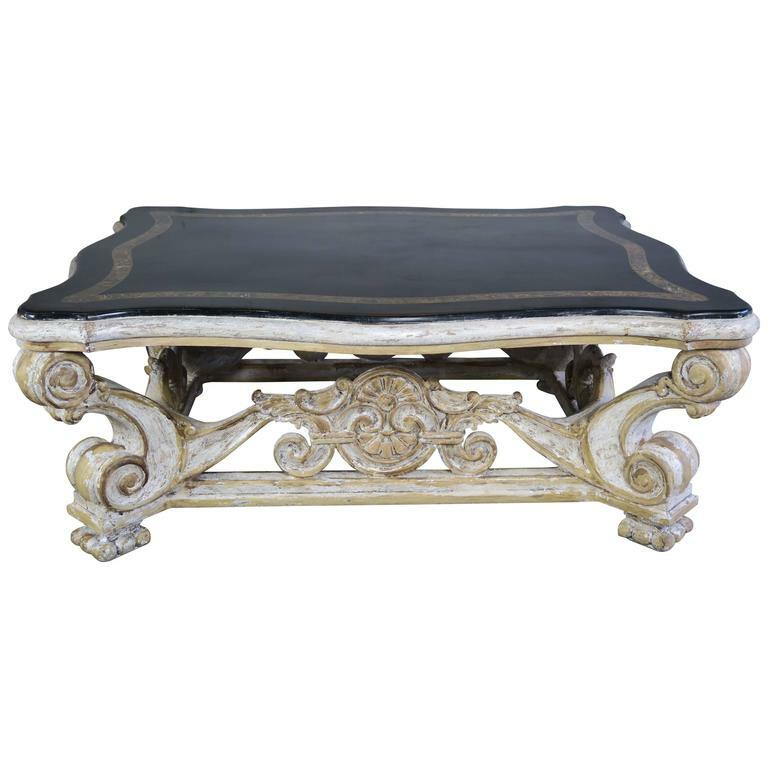 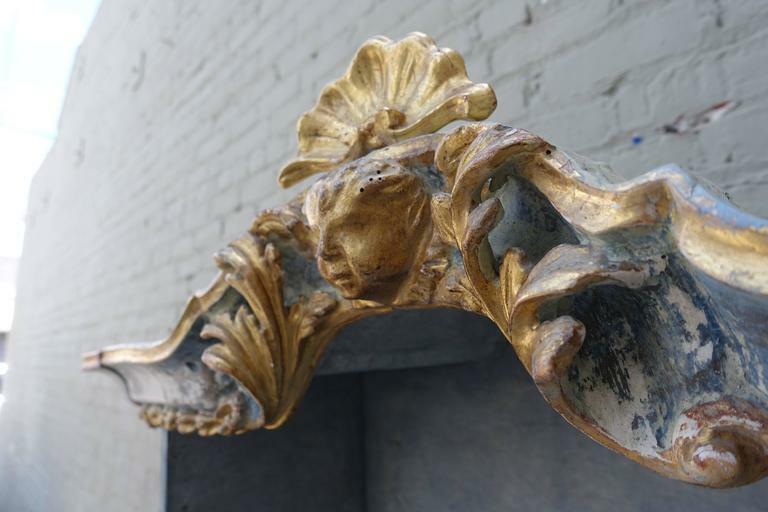 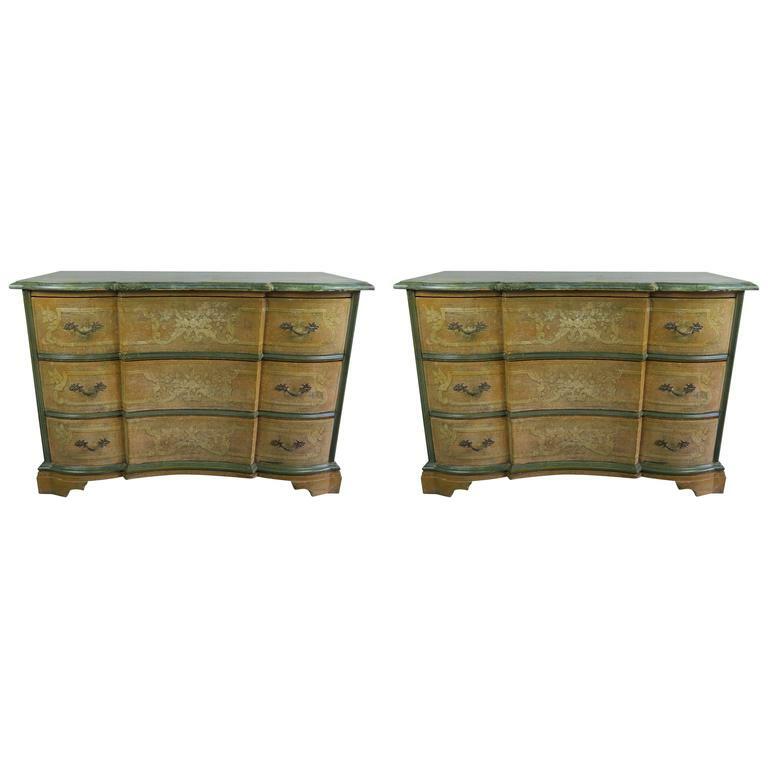 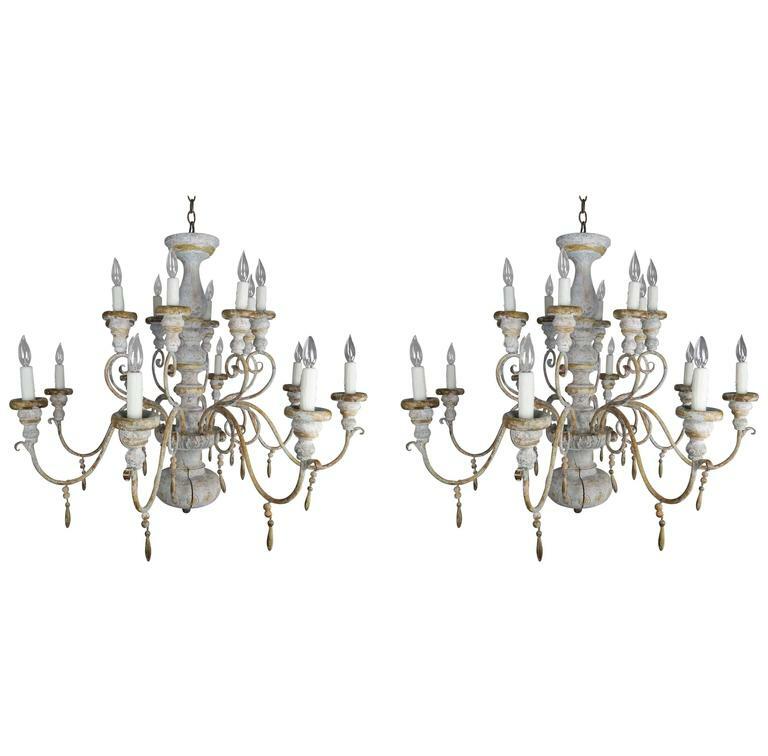 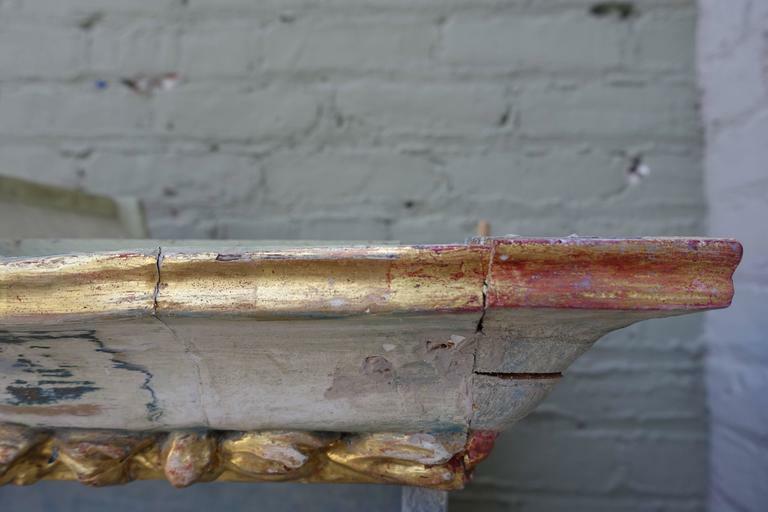 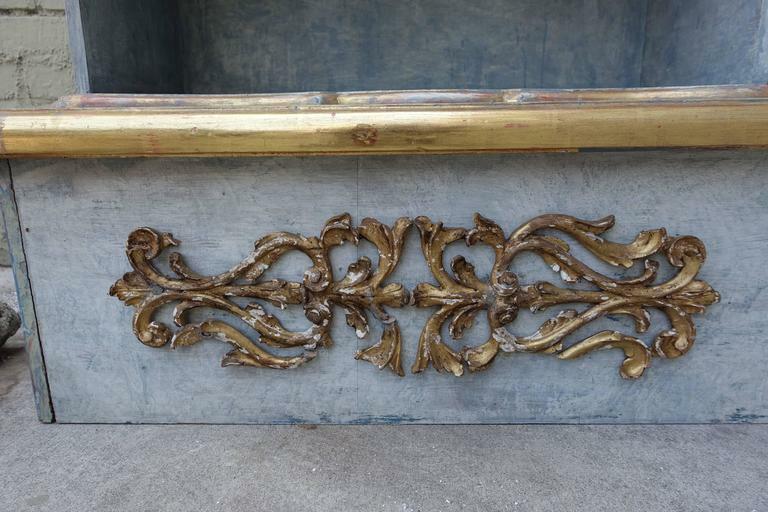 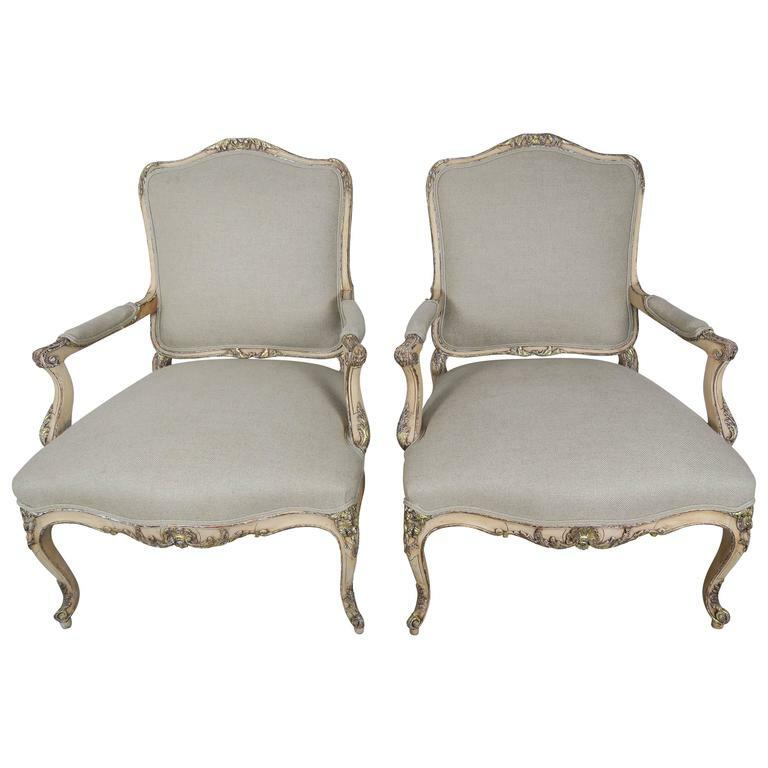 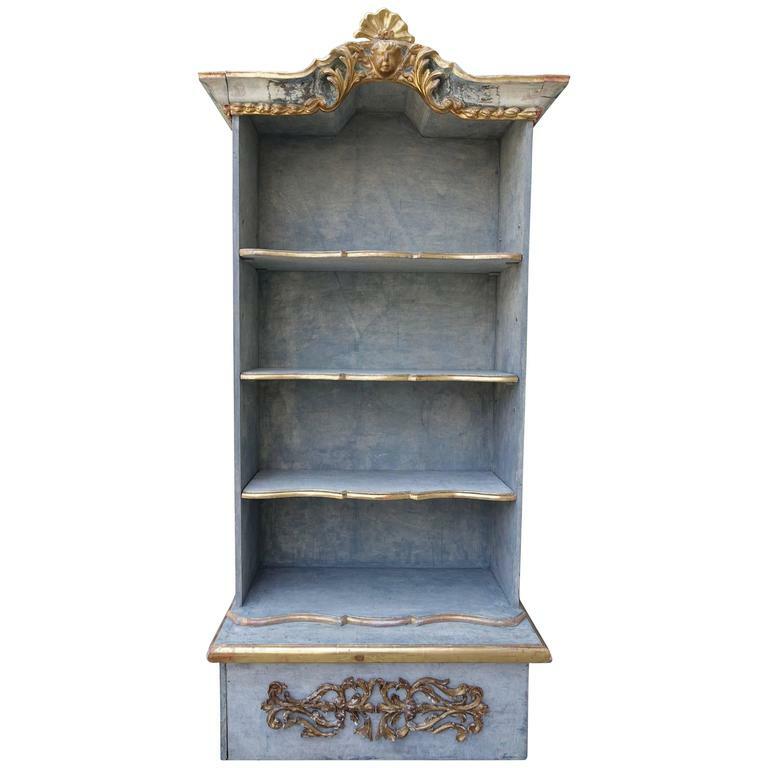 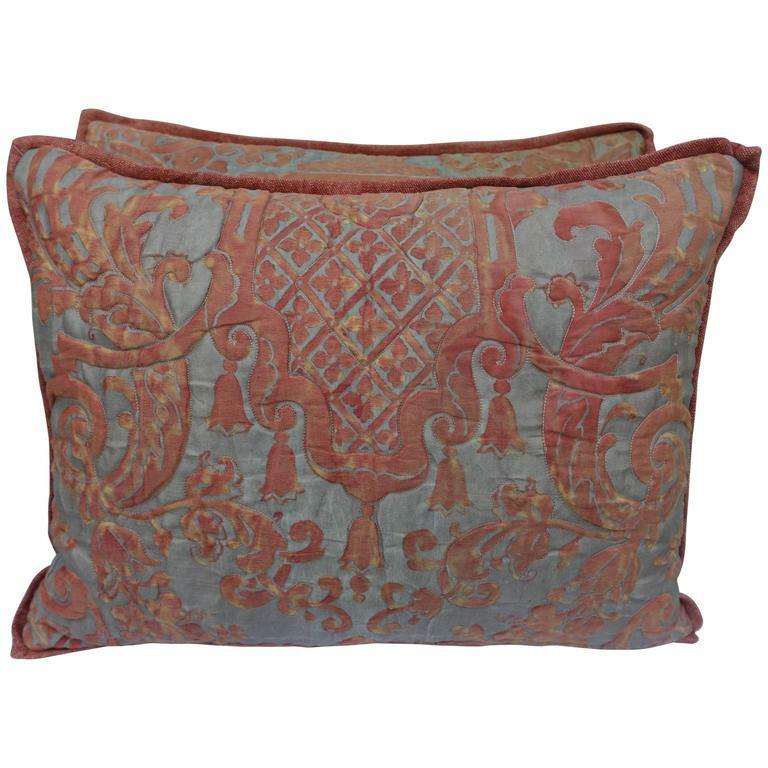 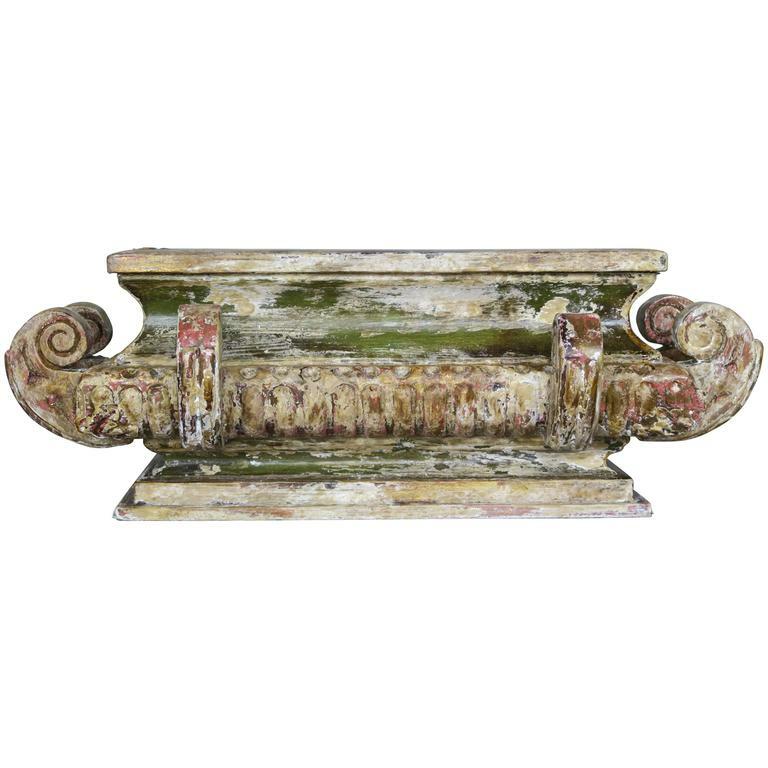 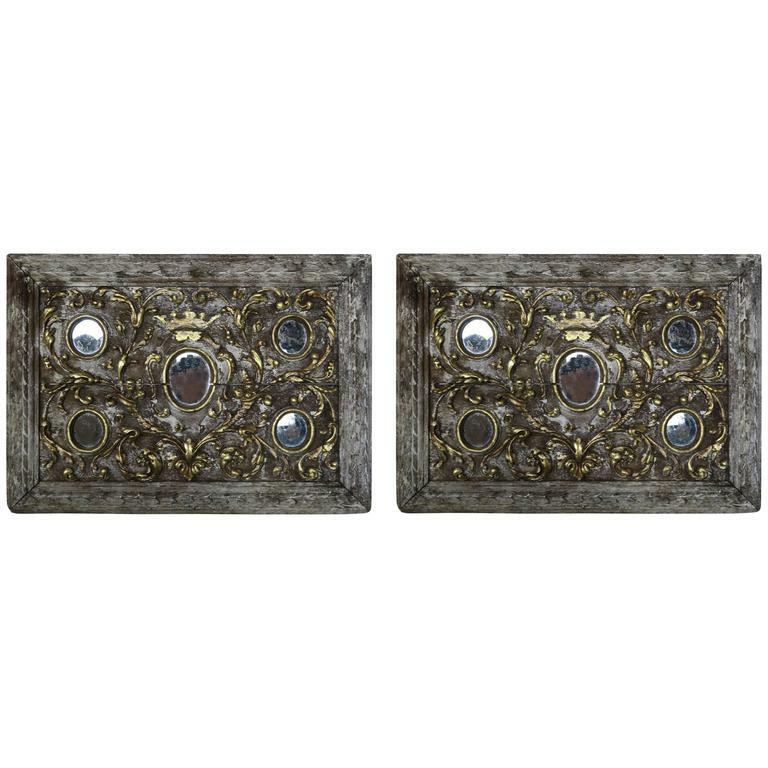 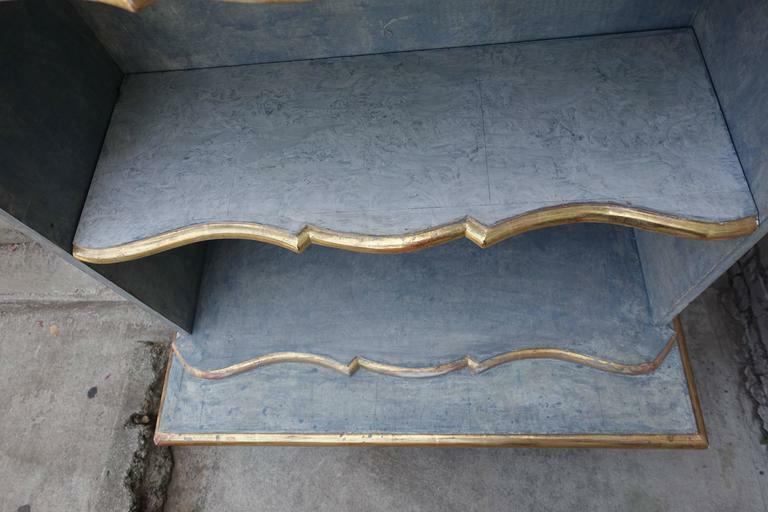 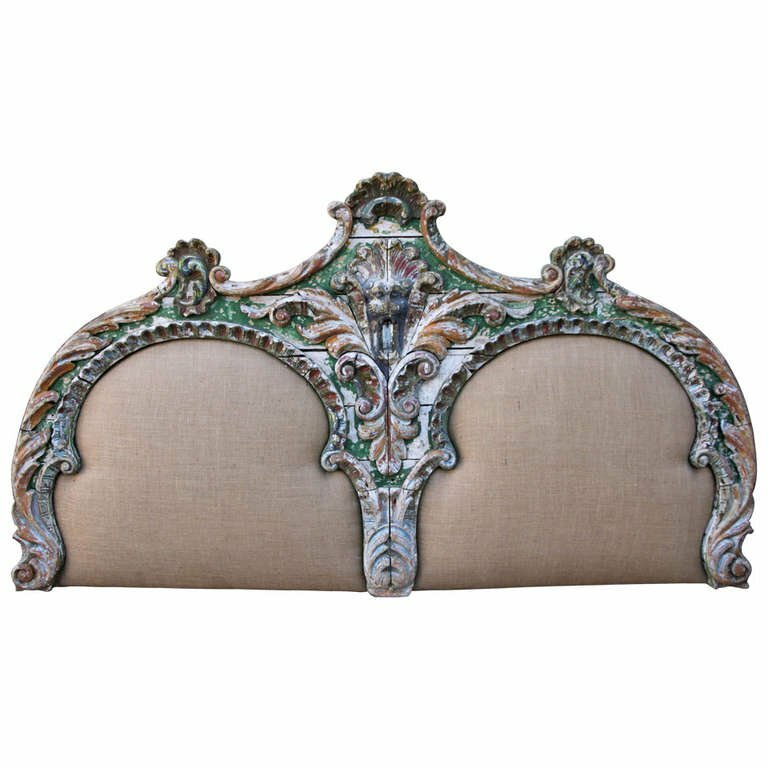 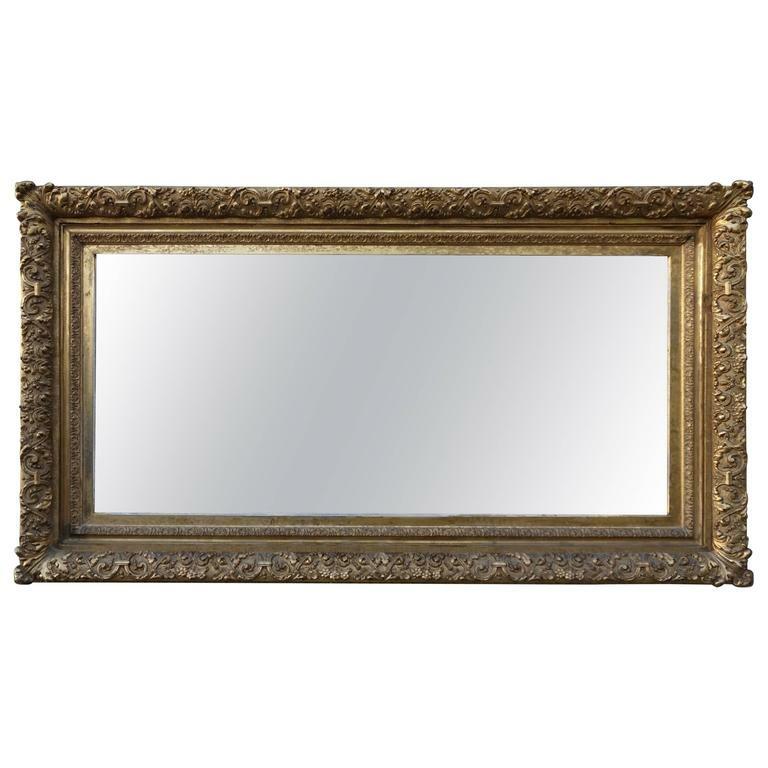 Italian painted in soft Venetian blue coloration and highlighted with 22-karat gold leaf accents throughout. 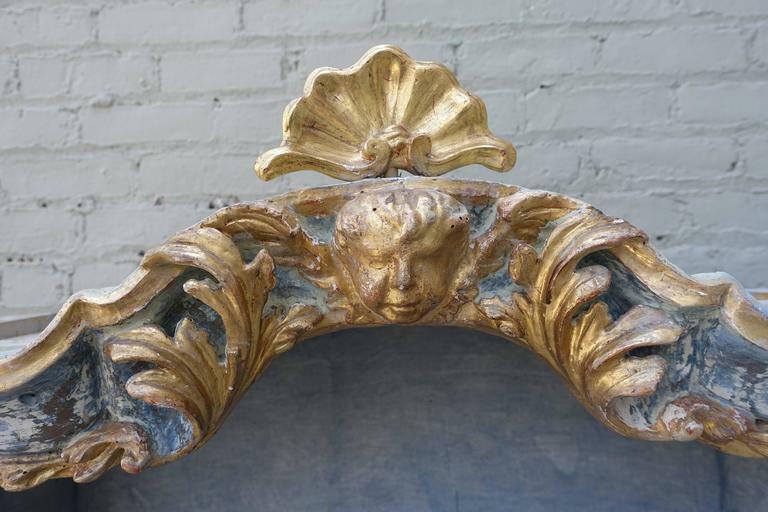 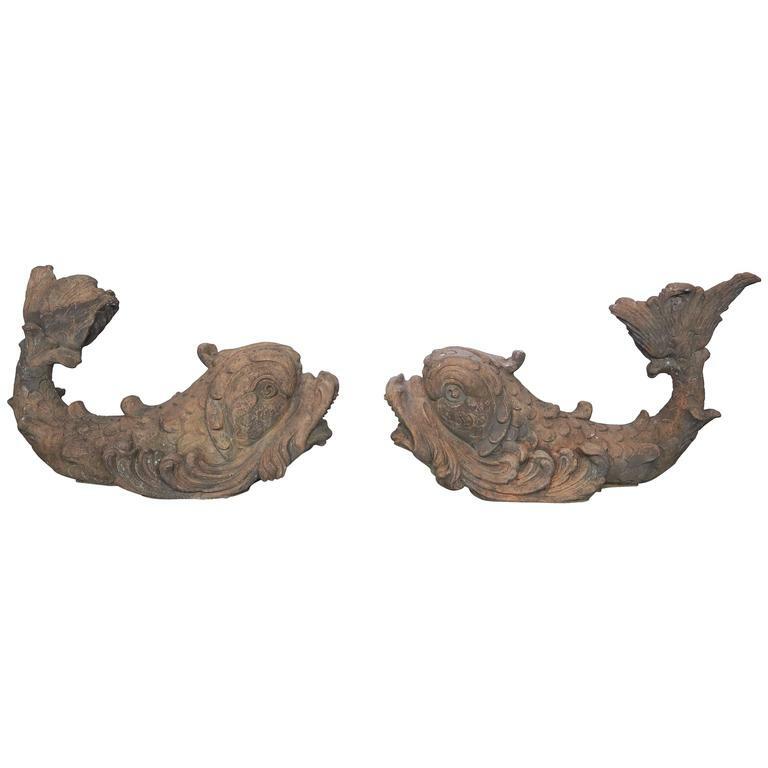 Accented with carved cherub face at top arch. 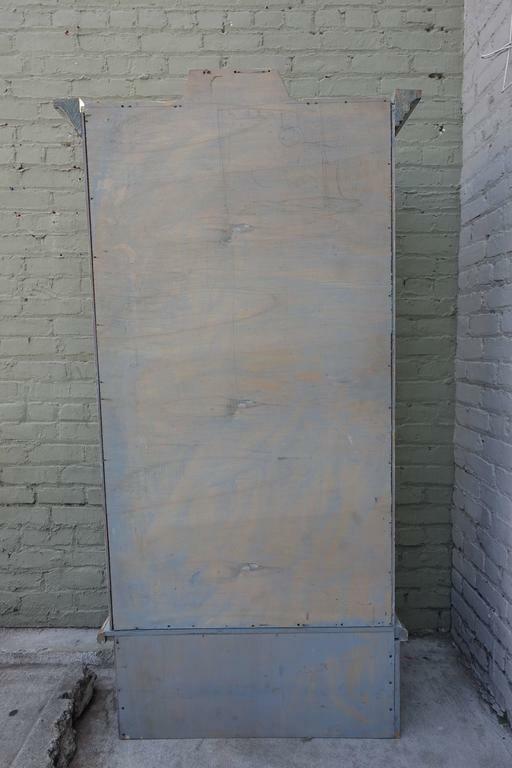 Great display cabinet for a bathroom, small bedroom or almost anywhere.